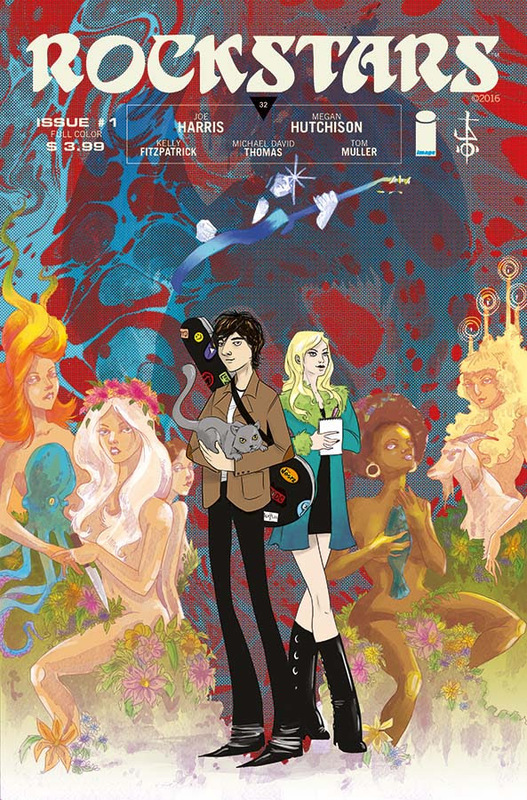 From fan-favorite writer Joe Harris (SNOWFALL, The X-Files) and mega-talented newcomer artist Megan Hutchison comes ROCKSTARS, an all-new ongoing series from Image Comics this December. When a pattern of unsolved “groupie” murders from the 1970s resumes in present-day Los Angeles, nobody makes the connection except Jackie Mayer, a rock nerd with a strange connection to music’s urban legends and lost history. Together with muckraking music writer Dorothy Buell, they soon uncover a vast conspiracy involving a legendary band, demonic possession, and sacrifices to the dark gods of rock. “I’ve yet to work on a project that has challenged and excited me the way ROCKSTARS has,” said Hutchison. “From the music to the costumes to the characters and the settings, ROCKSTARS is a rich world of horror, humor, mystery, and bad-assness." 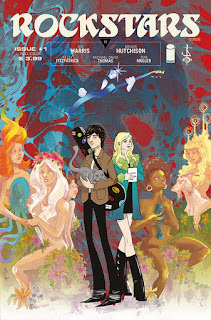 ROCKSTARS #1 hits comic book stores on Wednesday, December 14th.